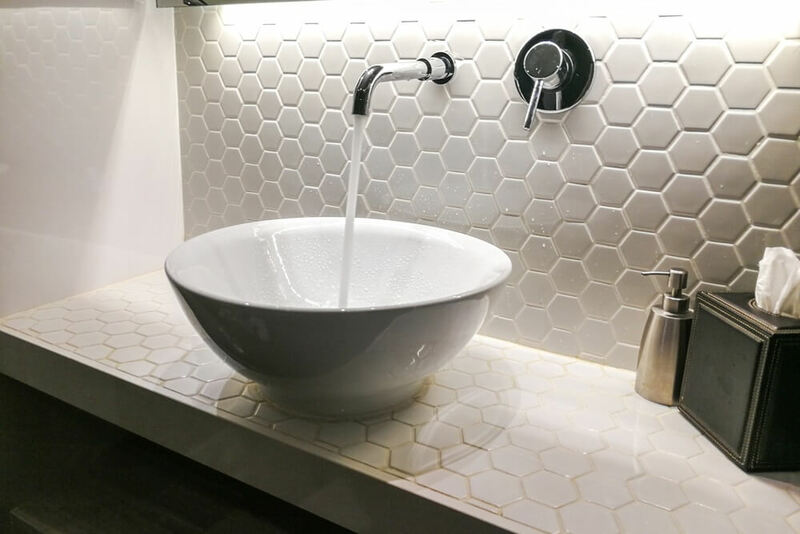 Fine finishes, stylish fittings, and timeless accessories… There’s a lot to love about building a hotel-inspired bathroom at home. With your own hotel-style bath, there’s no need to travel far or book an expensive staycation to experience a stress-relieving soak and shower. You already have a haven filled with everything you find attractive, elegant, and comfortable at home! Ready to renovate your outdated and boring bath in exchange for a dreamy one? Check out these ideas! Building a hotel-inspired bathroom doesn’t (always) require you to shell a five-star budget. We recommend using affordable yet statement building products that look splurged altogether. Play with geometric shapes. Not all tapware are round and cylindrical. There are square and angular pieces available in the market and those are worth a try. Take the square shower head below. Items like that sell because it makes a regular shower feel like bathing in the rain. Even the toilet is square! Superdraft Tip: Invest in high-quality tapware because it lasts for a long period of time. You need bathroom accessories that can withstand everyday use. Use bold patterns. Have something that catches the eye everytime you enter the bathroom. It doesn’t have to look overwhelming. A subtle herringbone shower wall design such as below is enough to bring some character to the bathroom. 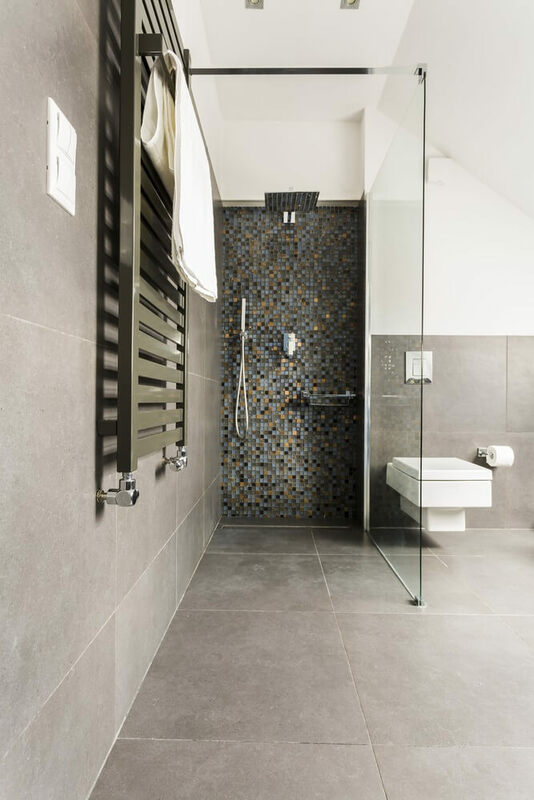 Floor tile designs are alright too, but a stunning wall tile will work better as a bathroom focal point. Celebrate contrasting textures. It’s pleasing to the eye. 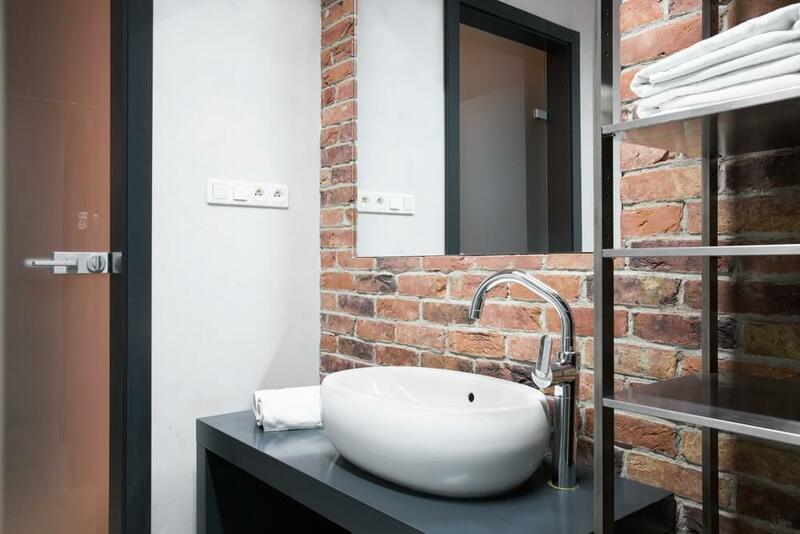 Here’s a contemporary bathroom that embraced its rustic brick wall. All other surfaces have a smooth finish to make this wall stand out. ✔ If you’re going to splurge on the bathroom, make sure it’s the storage. It needs to be impervious to water, accessible, and mould resistant. ✔ Avoid displaying chunky and clunky items as much as possible. Sleek items make the bathroom more elegant. Control the number of pieces you display. 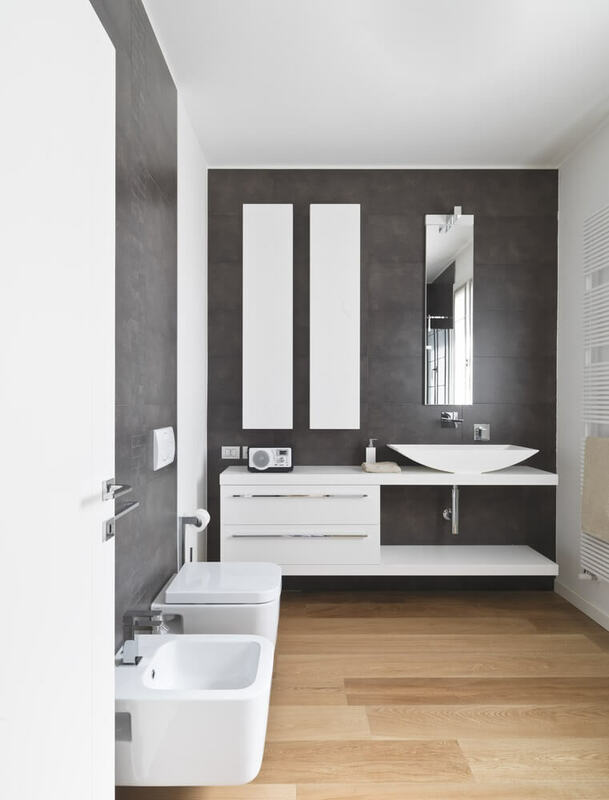 Remember, the main bathroom accessories such as the tub, toilet, shower, and counter must stand out. 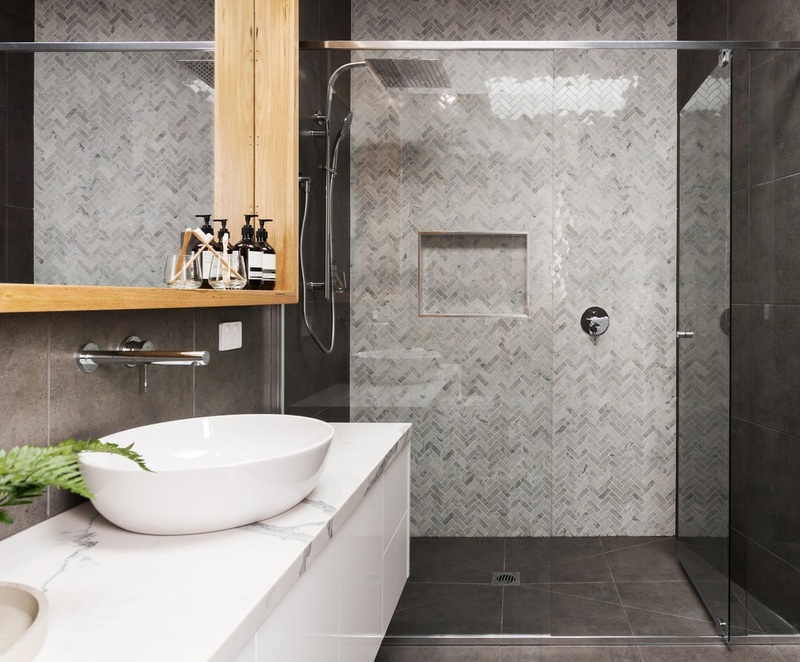 ✔ Finally, make the tub the centre point of the room and design the entire bathroom from it. Keep the toilet suite near it at all times. The first design style is a little tame compared to the next one. This time, it’s about indulging in your personal lavishness. Make it an escape. Your bathroom must transport you to a delightful destination everytime you enter it. For instance, take advantage of an incredible view of your garden from the bathroom. 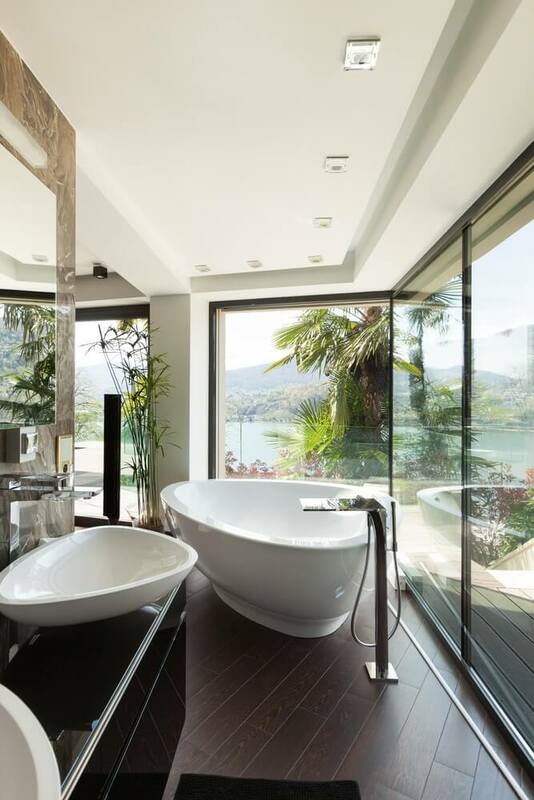 Glass walls will invite nature in your bath, giving you a breathtaking view. Execute your personal style. Let it rule in this hotel-inspired bathroom of yours. Have rich textures on your walls, hang plush towels, furniture, and display ornaments that complement your design. ✔ Textured tiles create drama. Ones with bevelled edges reflect the light nicely, so put it up on the walls. Geometric tiles such as these mini hexagons look best on the counter. ✔ Never fear new things. There are new materials, finishes, and ideas that come up every season. If you think the design you’re eyeing on is a worthy investment, go for it. Get more design inspiration the next time you travel! Now that you have your design inspirations, it’s time to create your own. List down all the important details of your design. ✔ Choose a relaxing colour palette. This will bring the feel-good vibe in the bathroom. ✔ Layer different textures. Mix and match until you get the perfect combination! ✔ Choose tiles that contribute to the room’s elegance. ✔ Stick with the classic finishes such as frosted glass, timber, black, chrome, and brass. Ready to build your own hotel-styled bath? Contact us! Talk to a Sydney-based architect/designer and discuss your project.